Kevin Lee McLaughlin was a 60-year-old inmate who died in the San Luis Obispo County Jail in April 2016. McLaughlin, who suffered from hypertension and other chronic medical conditions, complained to a jail nurse of pain and numbness in his left arm and asked to go to a hospital. Instead he was given Tylenol and sent back to his bed, where he suffered a fatal heart attack less than an hour later. McLaughlin’s death was the genesis of “Health care behind bars,” my in-depth look at medical care — or the lack thereof — in two county jails on California’s Central Coast. For years the SLO County Jail and the Santa Barbara County jail had been plagued by accusations of inadequate care for inmates. I wanted to try and use data to get a glimpse at the health of the inmate population, the medical care available to them, and whether gaps in that care may have played a role in natural deaths of inmates at both facilities. Getting that data was a challenge. Government entities vary widely when it comes to the collection and availability of information. In California’s county jails, I found far more obstacles than I’d originally expected. Unlike the state’s prison system, which operates its facilities under the umbrella of single agency and keeps a large and easily accessible trove of inmate health care data on a convenient online portal, it’s up to each of California's 58 counties to manage their own jail facilities. That means that the type of data they track, and the way in which they track it, can vary wildly. In addition, no one agency is fully in charge of regulatory oversight of county jails. The closest thing is the Board of State and Community Corrections (BSCC). But the BSCC’s role is limited. They collect some jail population data via a voluntary survey, and conduct biennial inspections of jail facilities. Those inspections broadly identify if a jail has policies and protocols in place and if it is adhering to laws and regulations governing the treatment of inmates, including their medical care. But those inspections lacked the details I needed to get an accurate look at the two jails. How many of inmates were sick? What medical conditions did they have? 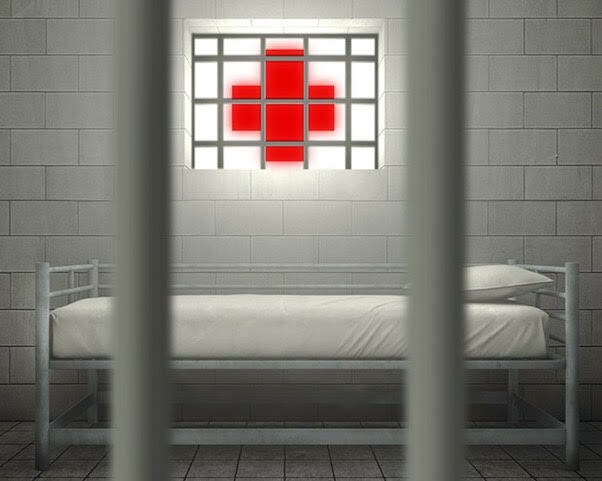 Were any inmate deaths the result of poor medical care? The information simply wasn’t there. I knew I’d have to start looking elsewhere to get the information I was after. The first critical breakthrough came in the form of a short sentence in a four-page report on McLaughlin’s death. In a closing statement at the end of the report, an investigator mentioned that he filed a Death in Custody Reporting Form (also known as a BCIA 713) with the California Department of Justice. It was a boilerplate notation that I almost missed despite having previously read the document several times. Just because one organization or agency isn’t collecting the data you are looking for, it doesn't mean that another isn’t. The key is finding where these entities overlap or are required to interact with each other and pass on information. I sent a public records request to the DOJ. What I got back in response was the first big break in getting the data I was looking for. The death in custody forms not only gave me the name of every inmate that died in the two jails from 2000 to the present, but also told me how the jails classified those deaths. The information was far from complete, but it was enough to quantify the exact number of the deaths that occurred over a set period of time, and how many of those deaths were classified as “natural”, an indication that they may have been the result of some kind of illness or medical emergency. Now I knew exactly what I needed to ask from each of the county jails to move the reporting along. I requested coroner, autopsy and toxicology reports for each of the names on those forms. Those records yielded much of data I’d been looking for. I had narratives of each inmate’s death, information about the kinds medical conditions they had, and in some cases, the kind medical care and treatment they were getting. I combed through each report and put the relevant information into a spreadsheet. Before long, I had all the data in one place. That data formed the core of the story, which found that more than half of all the deaths at both facilities had been classified as natural, and that the majority of the inmates who died suffered from at least one chronic medical condition. Information I found in grand jury reports, lawsuits and legal claims, and interviews with former inmates revealed that despite caring for an at-risk population suffering from a myriad of health issues such as heart disease, diabetes, and hepatitis, both jails struggled to provide proper care for years, raising questions about whether deficiencies in that care may have led to inmate deaths. My experience discovering the “death in custody” forms taught me a valuable lesson. Just because one organization or government agency isn’t collecting the data you are looking for, it doesn't mean that another isn’t. The key is finding where these entities overlap or are required to interact with each other and pass on information. Each time this happens, there’s a good chance that some type of record is created. Often, the records of those interactions can give you some or even all of the data you’re looking for. The little tidbits you get can act as a trail of breadcrumbs, leading further down the path to the information you are looking for. When I started this reporting project, I tended to think of data reporting in terms of size. I pictured toiling over massive databases, or crunching giant spreadsheets filled with hundreds of rows of data. In my case, though, the real work of the project seemed to be just the opposite. The data was in small bits spread out over multiple documents from several different agencies. Hunting it down and bringing it all together was an exercise in paying careful attention to little details. A single sentence, for example.